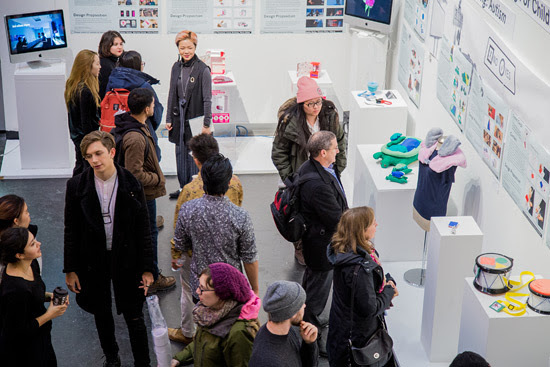 The Toronto Design Offsite Festival has just announced their annual call for submissions for the 2019 edition of the festival. There are a number of ways to get involved. Present an independent project, submit to one of the Festival’s curated exhibitions or half-day symposium, or be a Host Venue. Surface Tension is a provocation to explore the forces at work on water, both real and conceptual. Exploring the theme of water from material, aesthetic, cultural, political, poetic, and ecological perspectives, Surface Tension seeks to engage a range of topics integral to thinking about water in its broadest senses. Deadline: all submissions are due Friday, September 21, 2018 by 11:59pm EST. Click here to learn more and submit your work. Work/Life is an annual exhibition organized by the Toronto Design Offsite Festival in partnership with Umbra. A dozen new prototypes by Canadian designers are shown each year at the Umbra Store during the Festival. Work/Life invites Canadian designers to design a product for innovative houseware and workware that consider opportunities for multiple functions, storage, space efficiency, personalization, dual utility, entertaining, and other hybrid and micro-living concerns. Design is commonly defined as a methodical approach to the solution of a problem—yet there is no universal system for achieving a design solution. This exhibition aims to expose unseen creative processes, while asserting the value of design, which are often discounted in a culture that gives precedence to the end result. It asks whether process is as critical (if not more so) than a design in its final form. What about humans in the future of work? TO DO Talks Symposium seeks designers and thinkers to give presentations that inspire. Talks may be about current research or case studies, new products or technologies, spaces or experiences, speculative design or strategies, or new processes or policies. We welcome diverse perspectives and responses to the theme of the future of work with a specific emphasis on values, ethics, education, access, and inclusion. Click here to learn more and submit your talk proposal. Independently-produced events, exhibitions, and window installations are integral to the Festival’s structure. We welcome all who want to present, discuss, demonstrate, or exhibit design in any field and/or related disciplines. Early Bird Registration Deadline: Friday, August 31, 2018 by 11:59pm EST. Click here to learn more and register as an exhibitor. If you have a venue you’d like to have activated with a window installation, event, or exhibition, we want to hear from you! Potential venues include spaces in the City of Toronto such as shops, galleries, studios, cafés, schools, and cinemas. Deadline: all submissions are due Friday, June 22, 2018 by 11:59pm EST.